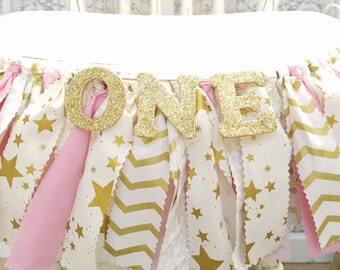 Mint green, pink and gold metallic accents... a beautiful banner for a birthday celebration. 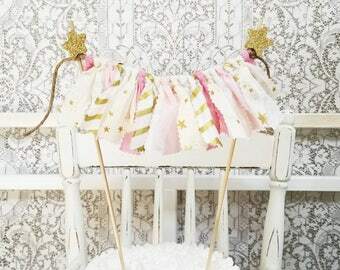 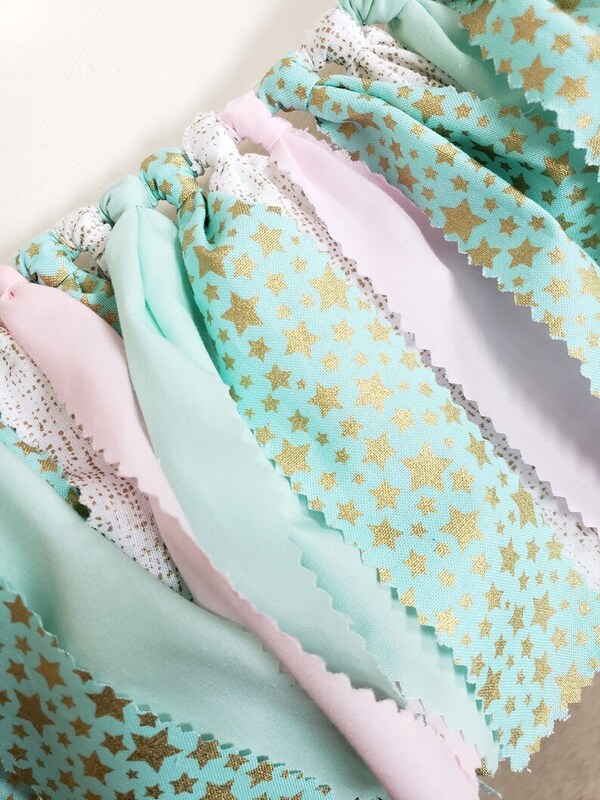 The metallic gold star fabric pairs perfectly with a Twinkle Twinkle Little Star theme! 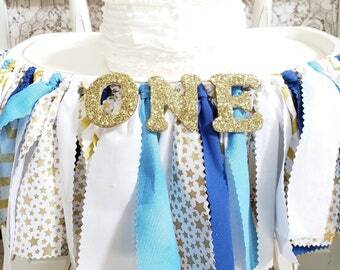 Fabric banners are perfect photo shoot props and make a perfect addition to smash cake sessions, too! 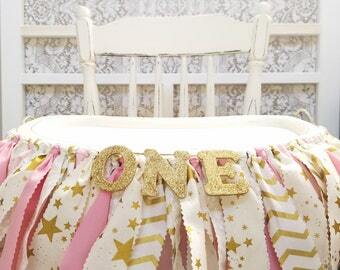 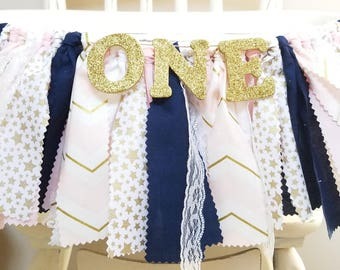 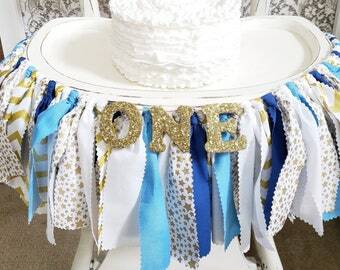 The banner can be tied to a highchair, hung behind the sweets table or on a message board with pics of the birthday girl!! 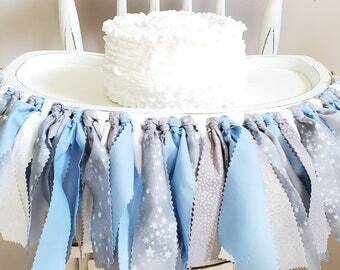 So many uses for this sweet piece!